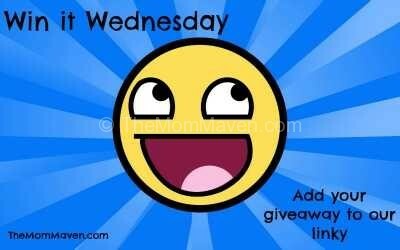 Happy Independence Day and Happy Win it Wednesday Giveaway Linky Day! I hope you take some time today to reflect on the freedoms we have here in the United States. We are so blessed to have been born in the greatest nation on earth but we can’t take that blessing lightly. I want to apologize for not having a linky up last week. On Sunday, June 24th, we had an incredibly powerful thunderstorm that lasted almost 2 hours. There was one lightning strike that felt like it was in our backyard. That strike to out our outside internet box, our router, our TV in the living room, the DirecTV box in our bedroom, and our audio receiver/surround sound module. This is the 4th time in about a year we have lost the TV and the audio receiver/surround sound module! Last year we added an additional earth ground to the house and upgraded the living room outlets to special surge suppressor outlets and we still got hit, bad! We called DirecTV and Frontier FiOS and they both said they would be out on Monday. DirecTV showed up but Frontier FiOS didn’t make it until late Wednesday afternoon, just as we were heading to Disney Springs for dinner at Terralina Crafted Italian! The Frontier guy said they were very understaffed, not my problem I pay a lot for my internet service. The Frontier guy was also supposed to bring us a router and he didn’t. We finally bought a new router Friday morning. Do you know how hard it is to run 4 businesses from a home with no internet? It isn’t easy.